President Yoweri Museveni has during the past few days been touring UPDF barracks in what is being termed as an exercise to assess their preparedness to face any eventualities. 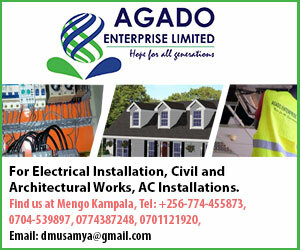 The timing of the president’s tour of officers, men as well as the country’s defence apparatus could send signals to different parties as a time the country is embroiled in a dispute with its neighbour Rwanda. The president started the tour at the UPDF first division headquarters in Kakiri, Wakiso district. While in Wakiso, Museveni said he was checking on the soldiers welfare and ideology. Museveni urged the soldiers to remember the army’s ideology and historic mission. He said: “Soldiers must understand their historical mission. Each army has its mission. For example, the Abambowa and Abarusura armies of Buganda and Bunyoro kingdoms believed in defence of feudal systems while advancing a tribal agenda. “For the UPDF and its predecessor, the NRA, our officers and men must appreciate that we emerged from the people. We are an army of the people that seeks; to fight for the interests and prosperity of our people, secure their prosperity while serving them. “This prosperity though, cannot be guaranteed through politics of identity. This explains why we picked the four pillars on which the NRM is grounded. We preach Patriotism, Pan-Africanism, work for Social Economic Transformation of our people and finally promote Democracy. 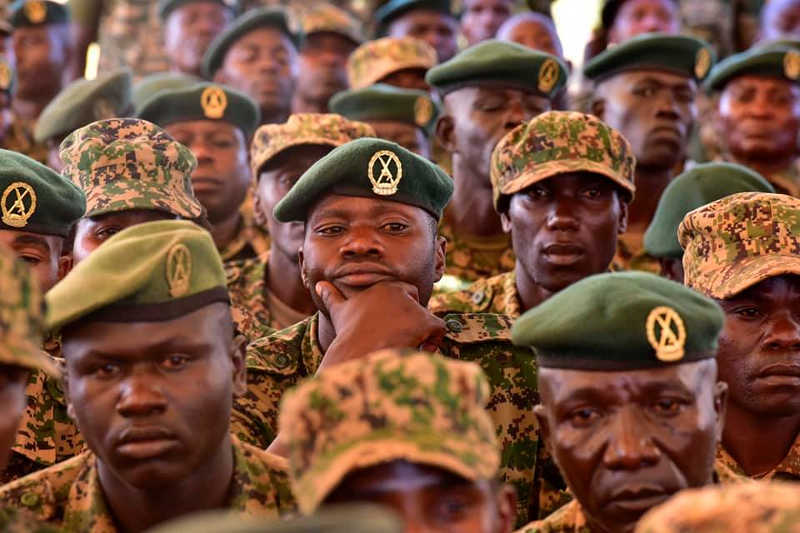 The President’s message tour to assess the welfare of soldiers is a timely move considering the poor state of housing of soldiers, especially the lower ranking foot soldiers who reside in the different barracks across the country. Right from the 1st Division Headquarters in Wakiso where the president opened his tour, soldiers live in abhorent houses. A number of soldiers live in grass-thatched houses while others still live in rusted tiny metalic temporary shelters commonly known as Mama Yingiya pole. The army leadership starting with the late Gen. Aronda Nyakairima has promised to improve the welfare of soldier, but largely in vain. The problem of poor housing is most concentrated among the low ranking men of the UPDF. The situation is much better for the high-ranking officers from the rank of Brigadiers upwards, who enjoy numerous privileges such as free cars, free fuel even while on private business. On low wages, Museveni said: “The government has been enhancing this but because we had to first deal with foundational issues of the economy, this has taken long. However as the economy improves, so will the remuneration. He added: “The army leadership is working on increasing the number of schools in barracks, which will serve even the neighbouring civilian communities. It is the same with health facilities. Kakiri, for example, has a health centre IV, while Bombo Referral Hospital is not far off.